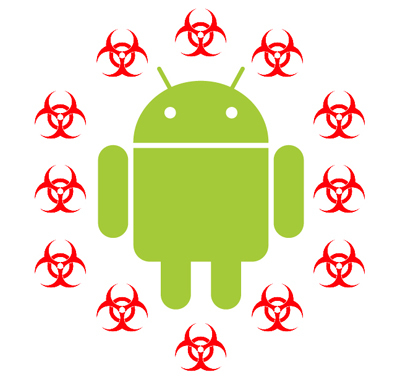 The number of malicious applications for the Android operating system has increased compared to 2010, by 472%. This is the reality that transpires from a study published by the security company, Juniper Networks, which also indicates a particularly strong rebound this November, an increase of 110% compared to October. Moreover, Spain is the seventh country in terms of number of terminals affected by viruses and malicious code. Has the time arrived when mobile phone users should start worrying about the safety of data? "The first thing people should understand that your smartphone is more like a computer. By making a comparison, is much closer to the computer they have at home or office that were used 4 or 5 years ago, "said Confidential Vicente Diaz, senior analyst at Kaspersky Lab malware. Indeed, in 2011 we don’t use the phone as in 2004, the year that the first known cases of virus for came these platforms. The utilities of smart phones are infinitely greater than that of their ancestors, notably thanks to the Internet. The dark side is that we are carrying extremely sensitive data like bank account number, contact information of our social networks or images in the jacket pocket or handbag. How does someone get a smartphone Virus? “Those days are gone when you used Bluetooth to transmit malicious code; right now the main route of transmission is the applications"said Diaz. 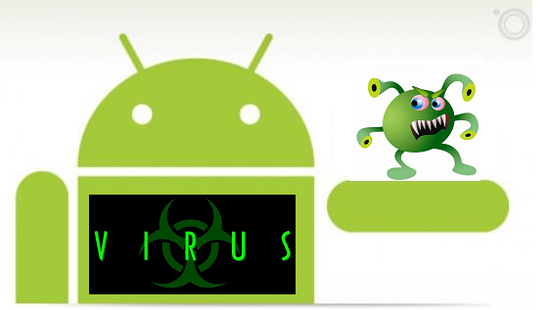 The virus disguised as 'apps' are present throughout the network and have even infiltrated the official shops like Android Market. According to the independent consultant, in 2011 the pirates have cast 50 malware that have infected 250,000 users. Not given the same circumstance in Apple Store, whose leaders maintain a much tighter control of the content. Thus, on several occasions in which analysts, journalists and hackers have tried to infiltrate malicious software on the iPhone and iPad store, it has been removed within hours. It's not just that the signing of the block which are more attentive towards Google that also influences the admission policy: Apple checks and filters all published while Android is an open system that encourages the participation of non-professional developers. It is easy to get a developer account and Google only after a series of complaints, when there are already infected users. However, the key to security in mobile is its software. In this section Apple and Blackberry will have a significant advantage over its competitors. Both companies believe that phones and operating system have complete control over what happens in it. They know perfectly how your machine is running your code and are ready to release an updatable given a security crisis. In contrast, android is a compatible system created by Google to run on multiple terminals. For example, Samsung, HTC and Motorola use it for all its products because they 100% understand the interactions between software and hardware. As a result, the responsibility of keeping the terminal is diluted between the manufacturer, the creator of the software and, ultimately, the telephone operator. Only Google can release an update. Manufacturers have to wait for these updates and then adapt them to their phones, leading to an ecosystem much slower to update, more suitable for pirates" say from Kaspersky. What are viruses and how to know if you are infected? Diaz warns that times have changed: "Having a infected phone is very dangerous. Before the virus was limited to send numerous SMS to a premium number for profiting, control the camera, calendar, GPS ... dominate the phone. " In the worst case scenario, a hacker could transfer money from your bank, talk to your contacts with your name, see through the camera what you are doing and always know what is your geographical location. The worst thing is that it is not easy to diagnose an infection: "You do not notice much or anything. Terminal may run more slowly, things fail. There are times you can see a strange program running in the task manager and may even run as a normal application. Further, when the code is done well, can only be detected by an antivirus "continued Diaz. "The malware has created enormous problems at times. Terminals have been infected workers with confidential information of companies and hackers have come to infiltrate the company network. To avoid threats is no secret formula, just take precautions: monitor applications you download, install an antivirus and, if possible, keep separate backups, "argue from the company specializes in antivirus. This Guest Post is written by Greg Salter who has keen interest in Android. He is author at Android Updater which is a technology blog dedicated to tutorials about Rooting Android Phones and updating them to latest Firmware’s.